That is precisely what I need! Looks great! Åh, så gott det verkade! Har du provat med Frangelico istället för wiskyn? There is nothing more civilised than proper dessert for one - the ultimate in self-indulgence ;-) This looks incredible - thanks for the recipe! danger, will robinson! 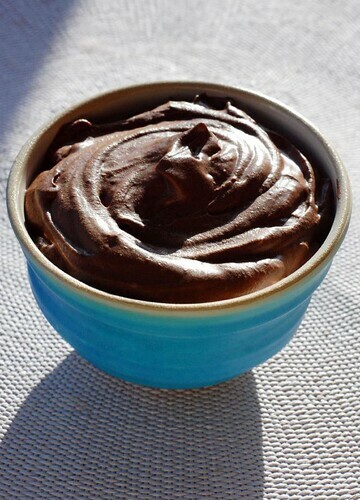 not being able to make chocolate mousse in a single-serving size is the only thing that keeps me from eating it every day. What a perfect, simple dessert! Oh my, this is heaven! Thanks for re-posting it. Whoa!! I love chocolate...That's my perfect dessert ever..I'm gonna make one this evening...Thanks for having it posted..
im 12 and trying to make a valentines day dessert looks easy and delishous!